Peter Lilley’s tongue-in-cheek suggestion of an immediate device to help professed egalitarians move towards their ideal society. Many opinions polls lead us to believe that the average British voter would prefer higher public spending to tax relief. Many members of the Liberati say they want to go further. They believe in a much more equal society and in a more steeply progressive system of taxation to deliver that equality. 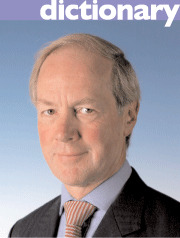 Many years ago Peter Lilley proposed a ‘Voluntary Equality Tax’ to test the sincerity of the egalitarians. Mr Lilley’s tongue-in-cheek VET would have provided an easy-to-use mechanism by which people could promote their idealistic society. "By ticking the VET box on their tax return they would allow the Inland Revenue to remove any income or wealth in excess of the national average and redistribute it to whichever underprivileged group or public service the taxpayer designated. For some reason the idea failed to catch on among those who are normally so keen to promote a more equal society! We need constantly to find ways of puncturing the sanctimonious selfrighteousness of the left…"
There is nothing, of course, to stop people who believe in higher taxation – but who haven’t yet managed to persuade enough people to elect their ideal government – from voluntarily giving some extra money to the NHS or some other public cause. The fact that people aren’t giving this extra money suggests a certain shallowness amongst advocates of higher taxation. It would do the people of soppy Liberal Lewes good to visit Sandwell. I am rather pleased with Labour loyalists at the moment. Supporting a system that would have turned Labour away form the 4,000,000 lost educationally and otherwise impoverished voters and towards Liberal second choices would have been an outright betrayal of Labour`s raison d`etre ( if it has one .We have avoided an inward looking elitist stitch up and retained a real accountable choice . Under AV only a centrist mush would have counted so well done Bob.Where you were dead right was the insufferable arrogance of the Polly Toynbee brigade and it goes on. Their descriptions of the real Labour Party irritated me so god knows what it felt like to a Labour Party supporter .I think you have to accept that it was not a good night for Labour though, at this stage the Polls are grim and IMHO its simple. You spent too much , everyone knows it and until,l that is accepted and put to rest you are going nowhere. …but then I would say that ….